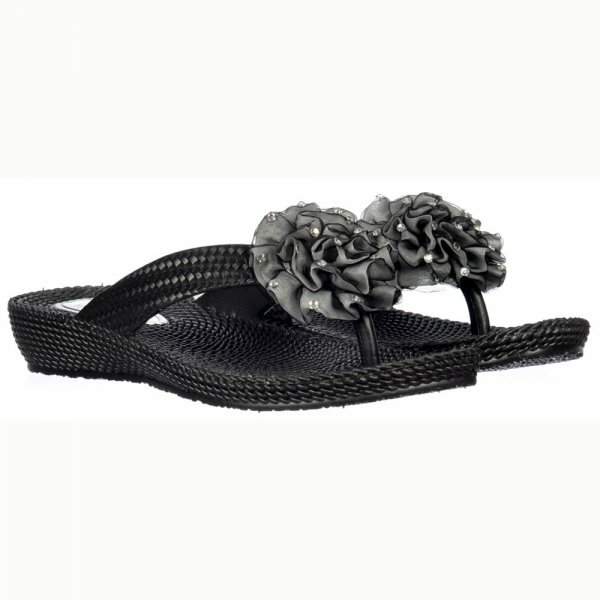 These Practical, Stylish Flat Flip Flops are Complimented by A Pretty Flower Diamante To The Toe Post. 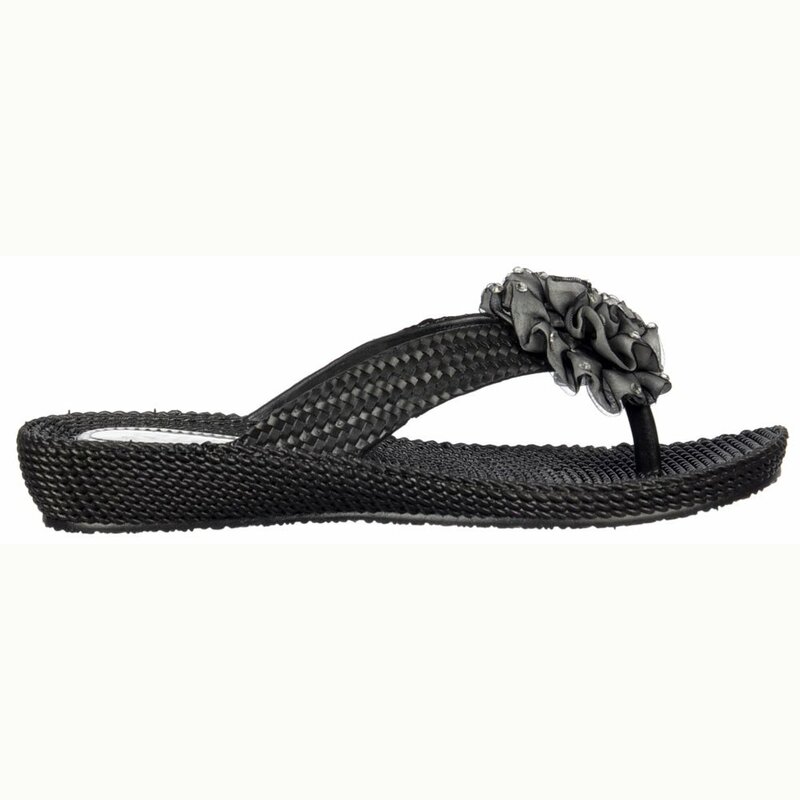 They Feature a Soft Comfortable Sole Ideal For Keeping Your Feet Comfortable in The Sunshine. They Look Fabulous as Beachwear or Evening Wear. Available in Other Colours.